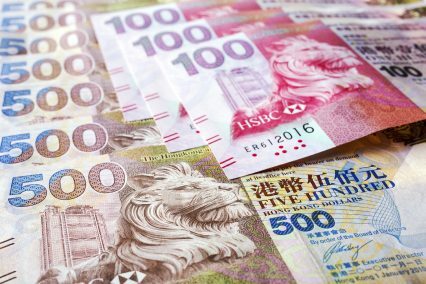 Banks in Hong Kong have been warned that regulators are ready to get serious on trade-based money laundering (TBML) breaches in the region. The Hong Kong Monetary Authority (HKMA) has been emboldened by its successful pursuit of the State Bank of India’s Hong Kong Branch last year, when it issued a fine of almost US$1mn after finding that the bank had contravened four provisions of its Anti-Money Laundering and Counter-Terrorist Financing Ordinance (AMLO). Among a litany of offences, SBI was found to have failed to carry out requisite due diligence into business relationships with 28 corporate customers. It has since improved its measures and even won an award in Hanoi this month for the systems it has introduced. The ordinance came into affect four years ago and, according to Paul Dorrans, legal manager at Simmons & Simmons, “the honeymoon period is over”. In the past few years, the HKMA has beefed up its taskforce by tripling AML staff levels. At the ports, the HKMA has increased scrutiny on customs, shipping and financial players using the facilities, introducing surprise inspections and attempting to claw back some of the billions of dollars lost to misinvoicing every year. The SBI case is viewed as being “a line in the sand”, with the HKMA now ready to take decisive action on TBML. At a briefing in Hong Kong today, banks were encouraged to be practical in their approach to tackling TBML and to base it around the guidance paper issued by the Hong Kong Association of Banks (HKBA). Dorrans, a former regulator, said that he is “convinced [the HKBA paper] will be used as a tick-box by the regulator when considering enforcement and prosecution”. There is no rigid set of rules governing TBML, instead banks must take a risk-based approach to their compliance, meaning they must be able to produce specific documents and paper trails to show how they have attempted to know the customer, product, transaction and market. It can be particularly difficult for banks to internally uncover misinvoicing, where value is transferred through fraudulently over or under-invoicing a trade transaction. “The key message is: know your logistics. It’s not just a document that needs to be put in place to prove a certain transaction. We work with partners to see what is clearly not right. It might look right to someone who is sitting at their desk, in siloes – this is ok, pass it to the next one – but we can see that it clearly isn’t right, with that practical presence on the ground,” says Ian Richardson, managing partner of iSCP Hong Kong, a logistics consultancy which carries out investigations on behalf of clients in the trade industry. Banks’ reaction to the clampdown on money laundering has been to de-risk their balance sheets, which has left billions in unbanked trade finance in Asia and other emerging regions. “De-risking is making life more difficult: rather than having a legitimate channel to transfer money people are relying on the informal networks,” Jolyon Ellwood-Russell, trade partner at Simmons & Simmons says of the trend. It’s this reactionary approach that experts discourage. Sean Norris, the head of APAC at Accuity, a provider of AML solutions, says that banks need to invest in people and do so wisely. Of the 40 potential red flags that indicate some sort of fraudulent behaviour on a trade transaction, technology providers can help with a handful, Norris says, but the rest is down to building a team that is knowledgeable and experienced in trade itself, rather than compliance. “My view is that people are the most important asset right now. Good training and staff retention – and be clever and get your trade finance operations people into financial crime quickly because we’re still very far away on the technology side,” he says.